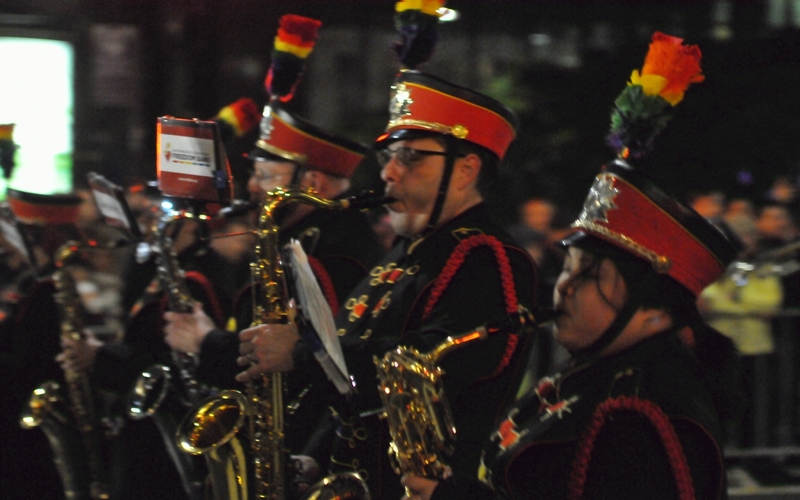 The Archbishop Riordan Crusader Marching Band marched past while preparing to play. 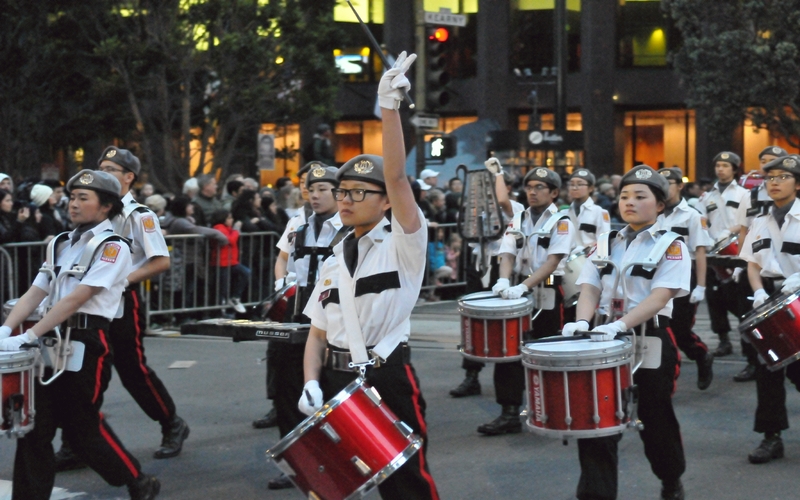 The drum corps with Lowel High School marched past briefly not playing. 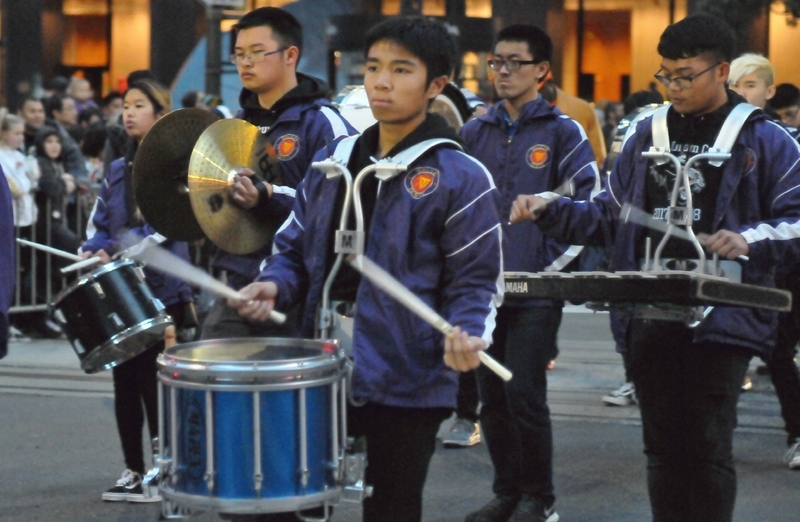 The Burton High School Naval Junior Reserve Officers' Training Corps (NJROTC) band played a stirring melody while marching past. 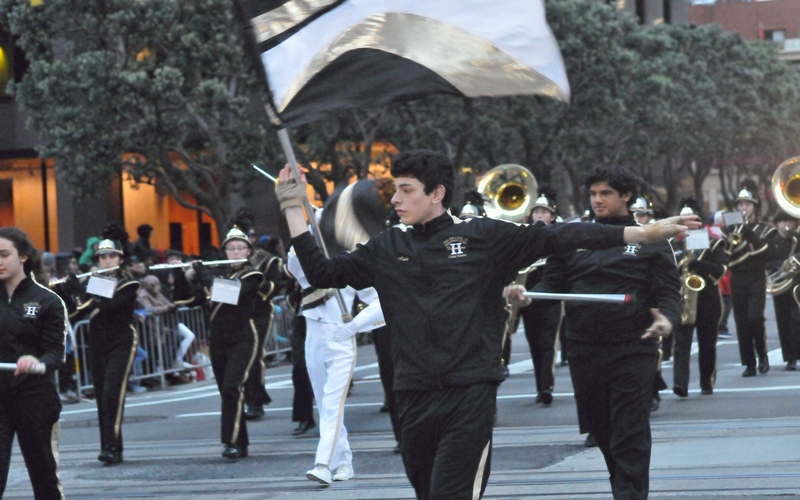 The Marching Band of Hayward High School was led by a person carrying a silver and black flag. 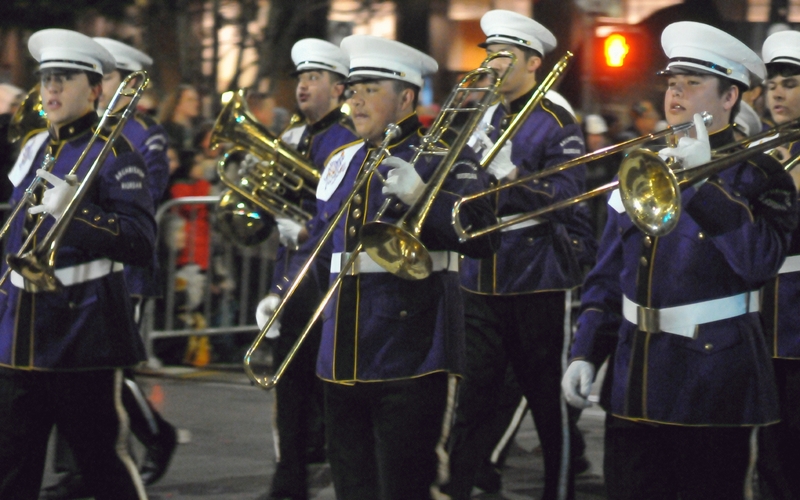 San Francisco Lesbian/Gay Freedom Band , dressed in rainbow accents, marched past while playing glorious music. 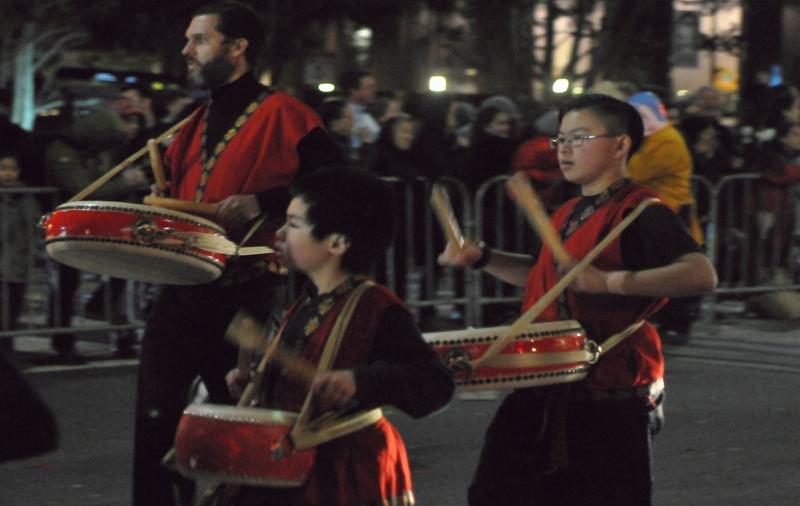 The small marching band with Yau Kung Moon played gongs and drums. 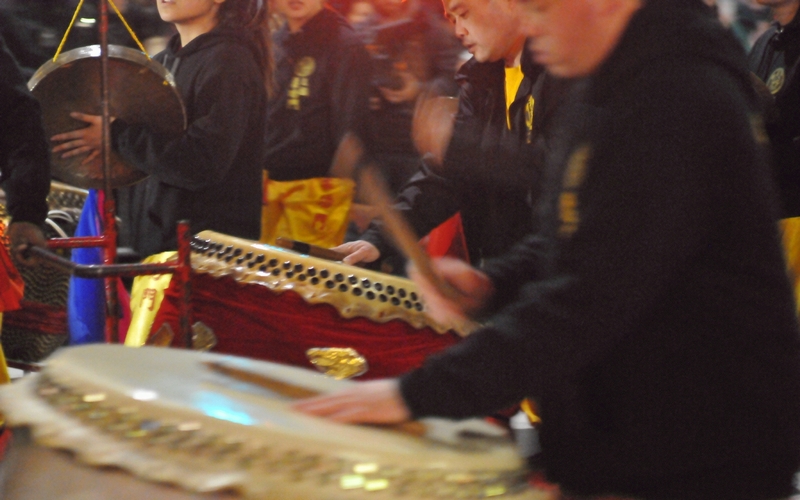 The drummers, with West Portal Elementary Dragon, Lion Dancers and Drummers, came in all sizes.